When it comes to creating a design for a sign to represent your Asheville business, it is important to hire an experienced professional. Our fantastic sign designer, right here at The Sign Guy, specializes in design and artwork for business signs, and he is ready to give you an inside look at the importance of sign design. In a market where your advertisements can make or break your business, make certain that your sign in Asheville is fun, creative, and best in show, while accurately representing your business. 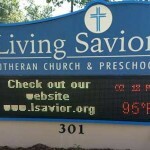 Sign designers consider your sign as the face of your company. Together, you will discuss important issues such as marketing goals, sign placement, and your company’s intended message, in order to determine the best design to represent your business. Color & Psychology: Through color research, we now know that colors influence people psychologically. For example, greens and blues are associated with nature, and they are tranquil and calming. Orange, red and yellow are upbeat colors which exhibit warmth, energy, and excitement. 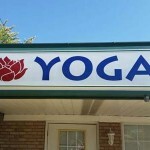 A sign designer can help you establish the energy your business wants to give off through the appropriate selection of colors. Catchy Contrast To Attract Customers: Sign designers establish the colors that are most suitable for you business, but they also know how to apply those colors. Put simply, light colors against a dark backdrop, or vice versa, will catch the eye of a customer, particularly potential new customers. 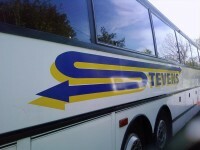 Selecting the right graphics for your business is just as important as color selection. Our sign designer has this down to a science and will select and create graphics or artwork that best represent your company’s image. Create A Sign That Is Positively Unforgettable!! Just think about all of the signs that we pass on a daily basis. How many of them actually stick out in your mind as memorable? Our business signs in Asheville will create a memorable, artfully designed image that will grab people’s attention and stick out in their mind. Through our experience and excellent craftsmanship, your business will immediately become more noticeable. Whether you need lighted displays, vehicle lettering and graphics, or a sandblasted sign for your business, The Sign Guy has you covered.